WHEN/WHERE: March 14th, 2018 / in-store & on super7store.com. HOW MANY/HOW MUCH: Unknown / US$9.99 per blind box. 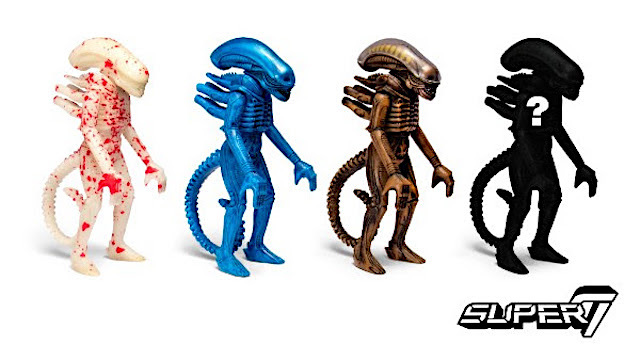 SUPER7 PRESS:: "The Alien 3.75-inch ReAction Wave 2 Figure Blind Box! 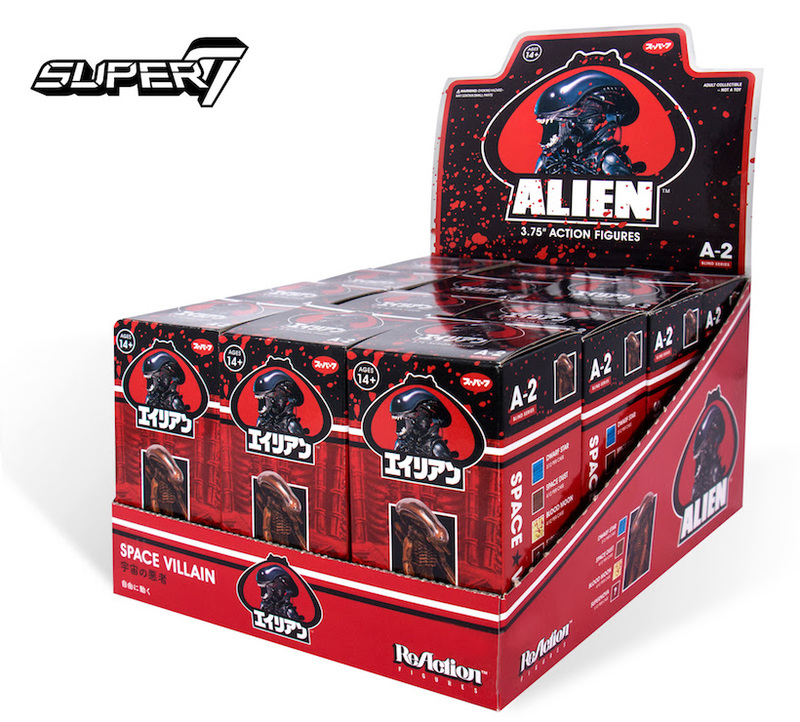 Depending on which box is drawn for each order you will capture either the dwarf star, space dust, blood moon, or supernova variant Xenomorph figure! 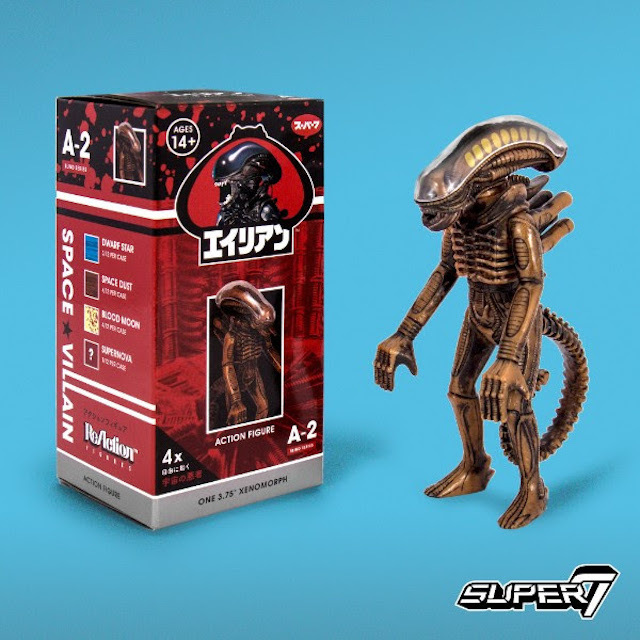 Available next week online in the Super7 Webstore and at the Super7 stores in San Francisco and San Diego and also at participating retail outlets!"